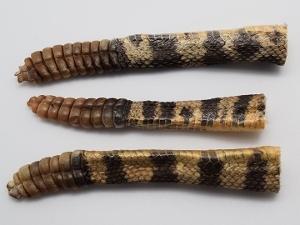 These are genuine Texas Western diamondback rattlesnake tails with the rattles attached. 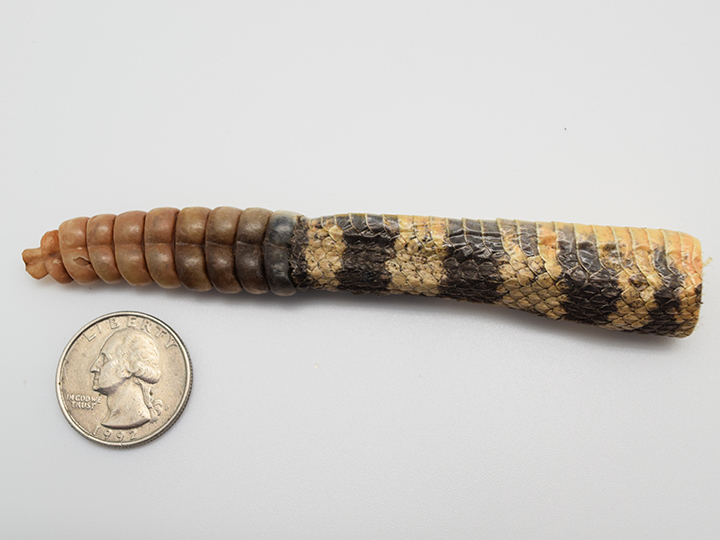 They are approximately 3" to 6" long and 0.5" to 0.75" wide. 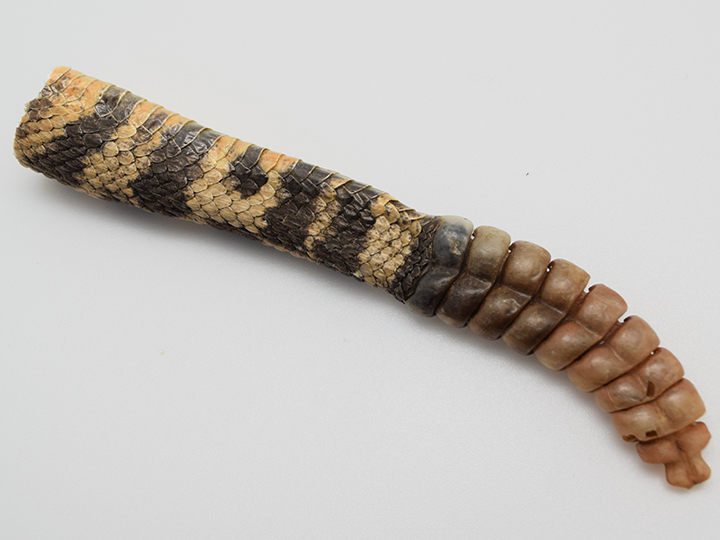 The tails may be slightly larger or smaller.